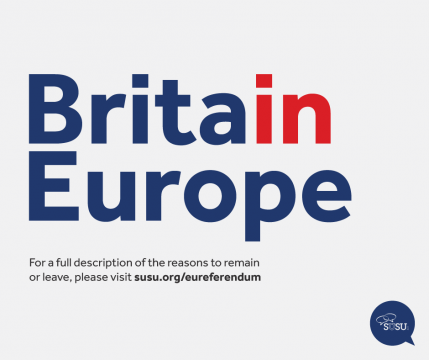 Vice-President Engagement, Hannah Talbot, says, “We want students to understand the arguments surrounding the EU Referendum and to feel empowered to vote. The UK is the 2nd largest beneficiary of EU Research Funds, so as a research university, I think it’s great that Eddie is encouraging young people to engage with an issue that will affect all of our students”. We have organised for two minibuses to take you from Redbrick area at Highfield Campus directly to Switch for the talk from 13:00, with the latest leaving at 13:40. See who else will be joining you here.